As celebrated author F. Scott Fitzgerald wrote in The Great Gatsby: “Life starts all over again when it gets crisp in the fall.” This is particularly true here in El Paso, where fall is a breath of fresh air. Temperatures top out at an average of 78 degrees through October, while the always abundant sunshine and breathtaking mountainous scenery set an idyllic backdrop for enjoying the outdoors. 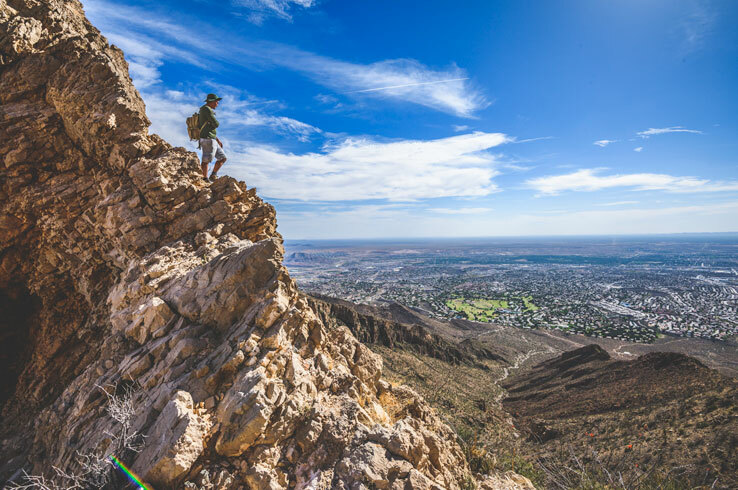 With its countless miles of hiking trails that wind through the Franklin Mountains, as well as the many other things going on here during the autumn season, El Paso should top your list of places to go in Texas this fall. Read on to find out why and start planning your trip to the Sun City. 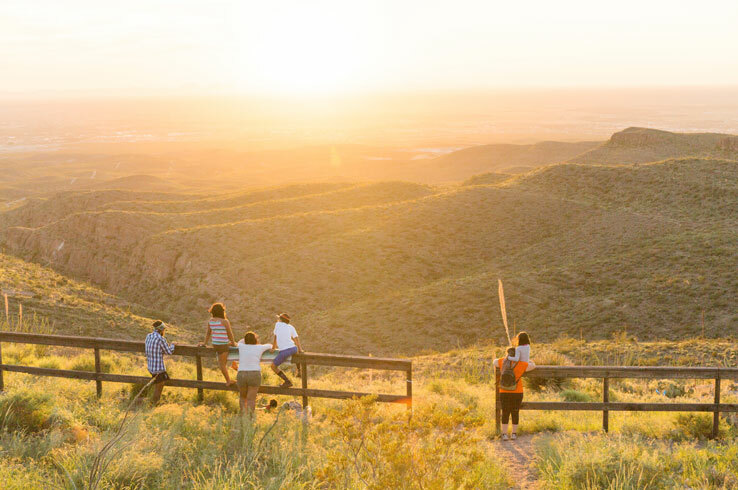 Your adventure begins at Franklin Mountains State Park, home to more than 100 miles of hiking and biking trails that meander through the spectacularly scenic Franklin Mountains. Find your way to Mundy’s Gap for a stunning 360-degree view of the mountains and surrounding valleys and wander out to a historic tin mine. Want a more in-depth experience? Book a hiking or biking tour with GeoBetty Tours, which also offers an excursion to a copper mine. Although Franklin Mountains State Park has more than enough to keep you busy, there are other ways to enjoy the outdoors. Drink in stellar views of desert canyons and the city of El Paso as you ascend 2,600 feet up to Ranger Peak on the Wyler Aerial Tramway. Step out of the Swiss-made gondola and you’ll be treated to a look at 7,000 square miles of the stunning Chihuahuan Desert (don’t forget your camera). Fall is also an ideal time to play a round at the Tom Fazio-designed Butterfield Trail Golf Course. Lush fairways wind through the desert for 18 holes, serving up challenging play and plenty of mountain views. Regardless of what you love to do outdoors, fall is a great time to treat yourself to all that El Paso has to offer. Chalk up your hands, tie on your climbing shoes, and plan your way up towering igneous rocks jutting from the desert landscape. This is what awaits at Hueco Tanks State Park & Historic Site, one of the best places to go bouldering in the country. 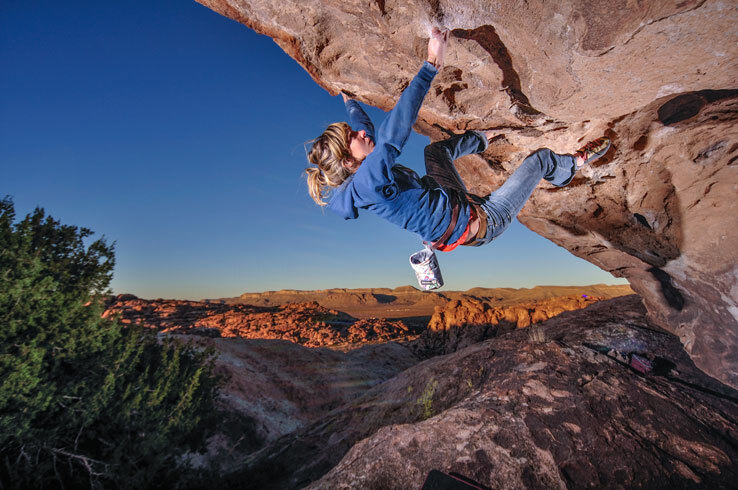 With more than 2,000 problems (the sequence of moves required to complete a climb) spread across 860 acres, Hueco Tanks offers endless world-class climbing. Fall is a stellar time to visit due to pleasant daytime temperatures and moderate winds, although winter and spring are great as well. Beyond the bouldering, Hueco Tanks has its own tales to uncover. For 10,000 years, it has provided refuge, food, and water to the many peoples that have called this part of Texas home. Some left behind hundreds of rock paintings that tell stories of great hunts or feature geometric designs. See a few for yourself on a pictograph tour during the Hueco Tanks Interpretive Fair, a free two-day event in October that also includes Native American dancing and storytelling, climbing demonstrations, and more. Stick around on Saturday night for a special stargazing event, when the big and bright stars of the Milky Way illuminate one of the darkest night skies in Texas. The Sun City’s live music scene comes alive in the fall, when some of the best musicians around come to perform in an abundant list of concerts and festivals you won’t want to miss. Headliners Jefferson Starship and Dead Girls Academy are among the acts lighting up the stage at the El Paso Downtown StreetFest (early October), which also includes dozens of food and beer vendors and a custom car, truck, and motorcycle show. Chalk the Block (mid-October) showcases the talents of about 200 local, national, and international artists along with dance and theatrical performances, live bands, and a sidewalk chalk art competition. To see some of the biggest names in country music, get your tickets for either the Way Out West Fest (mid-October) or the Las Cruces Country Music Festival (mid-October). 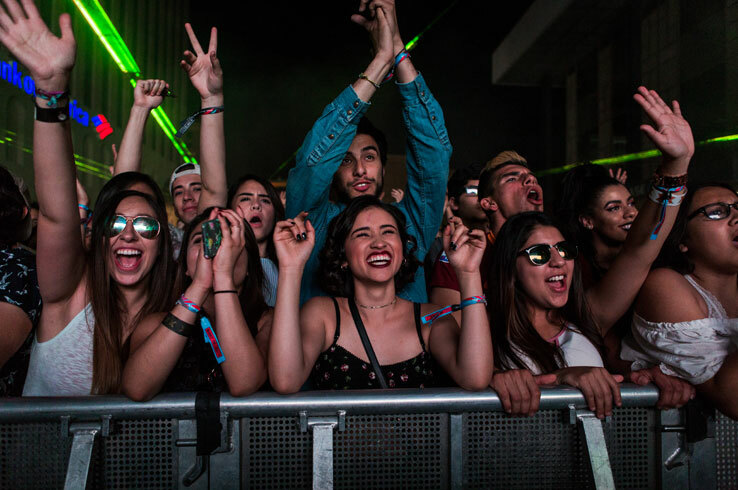 In addition to the festivals, El Paso welcomes touring talents to The Plaza Theatre throughout the season. . Get your tickets for any upcoming shows here. Throughout its history, El Paso has been home to Native Americans, Spanish missionaries, and gunslingers, all who have left their indelible mark on the city we know today. Start your journey of discover on the Mission Trail, which takes you to three churches built in the 1600’s and 1700’s. 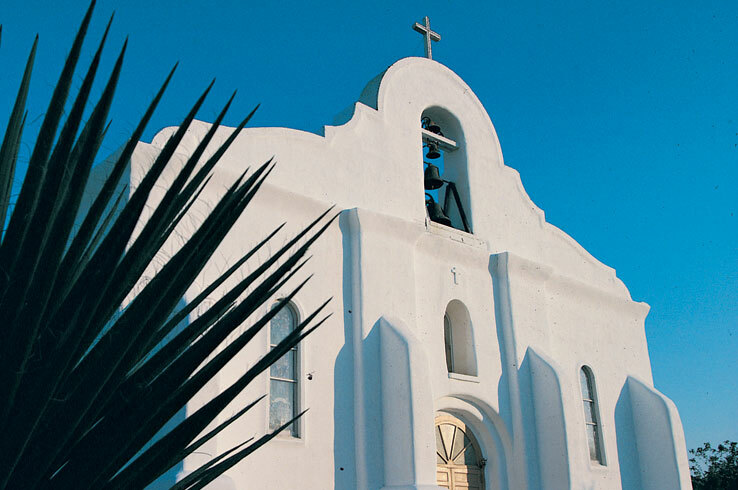 Continue your journey with a self-guided walking tour of the San Elizario Historic District, where art galleries and shops reside in adobe storefronts complete with wooden walkways just like you’d see in a Western movie. This is just one of several walking tours in El Paso that showcases the town’s incredible architecture, historic neighborhoods, and top sites that you won’t want to miss out on. Of course, there are more ways to experience El Paso’s history this fall. Step inside the beautiful Magoffin Home State Historic Site, an adobe structure once home to a prominent family who was involved in American expansion, settlement, the U.S. Civil War, and more. Finally, what better time than Halloween season to haunt the Concordia Cemetery, where infamous outlaws like John Wesely Hardin are interred with pioneers, settlers, soldiers, and notable citizens from El Paso’s earliest days. Reserve your spot on the ghost tour held the first Saturday of every month and you may even encounter the Lady in White, one of many apparitions seen in the cemetery. If you’re looking to explore El Paso’s mountains or learn about its diversity of flora and fauna, check out one of the mostly free events that are part of Celebration of our Mountains. Take in the beauty of the Chihuahuan Desert on guided hikes to the only tin mine in the United States. Snap photos of migrating birds at the Rio Bosque Wetlands Park. Marvel at Early Permian-era tracks and petrified logs on an excursion led by a paleontologist. These are just a few of the many events that make up Celebration of our Mountains. Check out this calendar of tours to plan out your fall escape to El Paso’s great outdoors. El Paso’s near-perfect weather and wealth of ways to enjoy the outdoors are among the many reasons you’ve got to visit this fall. Start planning your trip here.